When it comes to jewelry, there are so many choices of styles and materials in the world that it can seem overwhelming. While each material has its various strengths and weaknesses that make it more or less suitable for jewelry for you and your needs, there are some things that should hold true regardless. When we’re talking about something to represent the strength of your love and the bonds of your commitment, however, the stronger the material, the better symbol it makes. 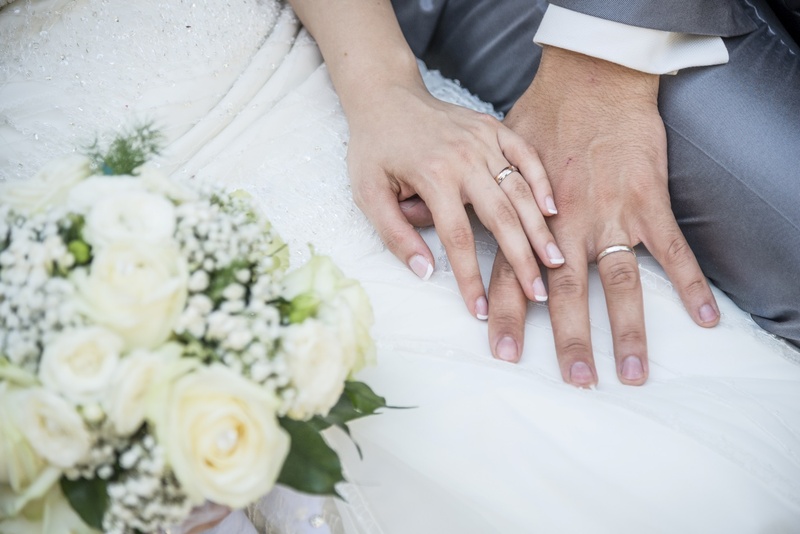 So, you’ll be pleased to know that two of the strongest and hardest materials on the planet Earth are easily and readily available as wedding bands in a wide variety of styles. I’m talking about, of course, tungsten carbide and diamonds. 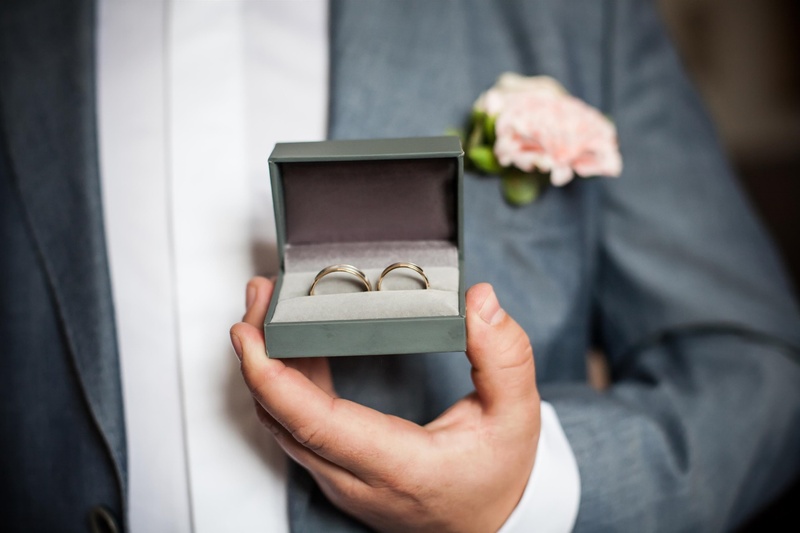 Tungsten carbide, if you’re not aware, has recently become a very popular alternative metal for wedding rings. Tungsten wedding bands for menhave a number of benefitsthat make them extremely suitable and sought after. Tungsten carbide wedding bands are durable, attractive, and very economical. Tungsten is one of the hardest, most resilient metals on the periodic table, especially in the form of tungsten carbide, which is tungsten mixed with an equal amount of carbon molecules. The resulting compound has a density and weight comparable to lead and gold, but with a hardness that makes it extremely durable and resistant to damage, unlike the malleability of most precious metals used in jewelry. In fact, one of the only materials hard enough to put a scratch into the surface of tungsten carbide is another commonly seen star in jewelry—and that’s diamond. Diamond, whether it’s one that is naturally occurring or one created in a lab, is a collection of carbon atoms arranged in a diamond lattice. This arrangement forms a crystal that is at the top of the Mohs scale of mineral hardness, making it one of the few naturally occurring materials that can put a scratch in tungsten carbide. Fortunately, you don’t have to worry about a diamond scratching your tungsten carbide ring if you’ve got it set into the ring. Adding a diamond to a tungsten carbide ring is easy enough and can be done in a variety of styles. While tungsten carbide’s extreme hardness, unfortunately, makes the prong or “Tiffany” style of setting used in solitaire rings impossible, there are still many unique methods. The simplest is drilling into the ring and setting in a single diamond, but there are more elaborate settings, such as channel set, tension mounts, or bevel mounts that set the ring inside a notch taken out of the ring. The extreme value of tungsten carbide rings is a boon when added together with diamonds, as well, as the affordability of tungsten carbide allows you to spend more on the diamond, meaning you can furnish your ring with an otherwise more impressive stone than you might be able to put in a ring made of a precious metal. Tungsten carbide rings can also have an inlay of a precious metal added if you absolutely need some gold or platinum in your ring. 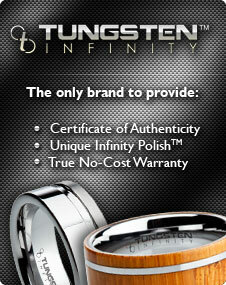 For more information about tungsten carbide wedding rings, come check out the selection at Men’s Tungsten Online.